After stumbling upon the bed, carriage, and tailstock from a Taig lathe, I rebuilt the lathe, making all the parts I didn't have already. This includes new cross slide and compound slide, a new headstock and spindle with integrated taper for ER32 collets, and brushless spindle motor with a DC custom power supply. Here's the build log (and many more pictures), which will be occasionally updated as I add features like auto feed and chucks. Since working on the rotating climbing wall last year, I've been interested in trying to revive the East Campus roller coaster. Fellow MechE 2016's Jaguar K. and Wesley L. were similarly enthusiastic about the roller coaster, so we started coming up with ideas over that fall semester. We got an early start on the approval process for the ride, and, thanks to lots of hard work from our Rush chairs and others, we were able to get the permitting and approval from MIT and Cambridge in time. More documentation of the roller coaster's design and construction can be found here. Two summers ago I bought an iPad 3 LCD off ebay. These are 9.7" 2048 x 1536 IPS panels, which use an internal DisplayPort interface. 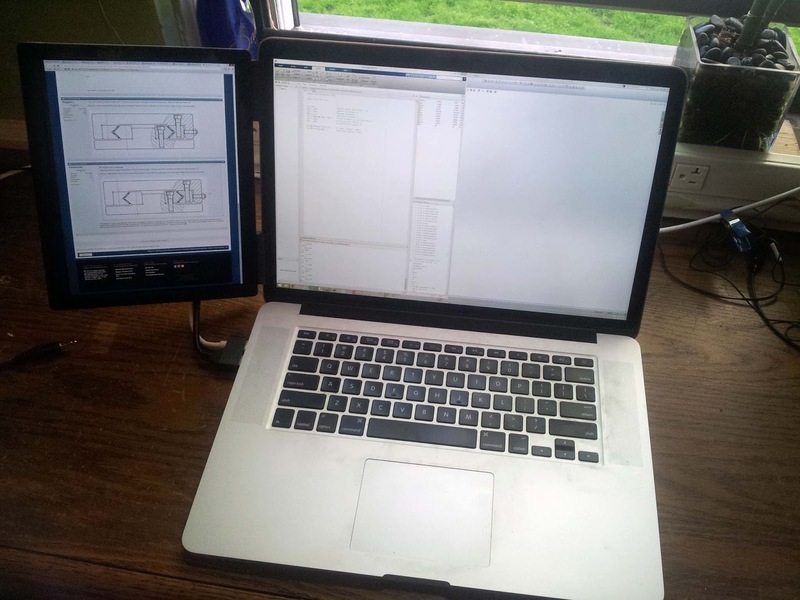 In May, I finally got around to building an external display out of the panel, which can be clipped directly onto the side of my Macbook Pro's screen, and is powered by a USB port. I have been using the display on a daily basis for the last four months, and it has held up beautifully. It took a little while for my eyes to get used to the tiny 264 pixels-per-inch pixel density, but I can now comfortably use it at native resolution. The display's build log can be found here. 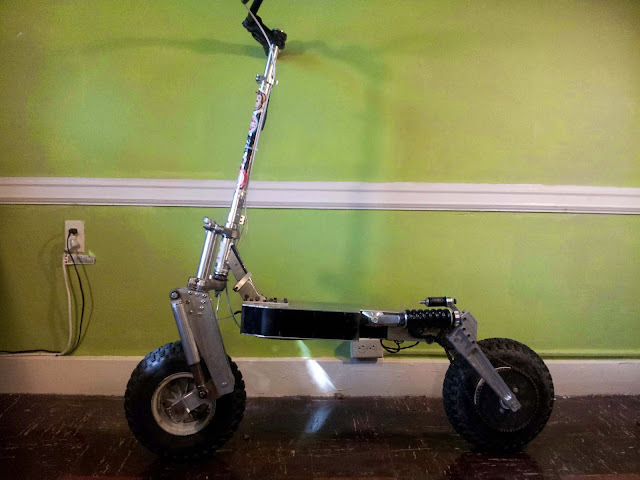 The original version of my all-terrain electric scooter suffered from a number of problems, the most important of which was in the motors I used. The triple CIM motors were just not capable of providing both the top speed and acceleration I wanted out of the vehicle. Actually they could, but just not for very long before the insulation on their windings turned into a melty black mess. After some attempted snow-scootering during the northeast snowstorm last year, I decided I was sick of the freshly roasted motor smell, and stored away the scooter until the summer. A full teardown of the scooter revealed enough unnoticed or impending failures that I decided to scrap pretty much the entire mechanical end of the original scooter. Version 2 features the same HobbyKing LiPo battery pack and Kelly 72V 200A brushed motor controller as the original, but nearly everything else is new. Replacing the CIMs are a pair of Magmotor S28-200's, which are slightly larger than the S28-150's of battlebot fame. Like before, the motors are mechanically coupled to one output shaft through a gearbox reduction, and connected electrically in series. This version also has even bigger wheels (because the old ones clearly weren't large enough...), and over a foot of clearance everywhere. The scooter's build log can be found here. Back in June, I returned to Atlanta for a couple weeks. While there, I took advantage of all the woodworking hand tools I had access to, and made this ukulele. 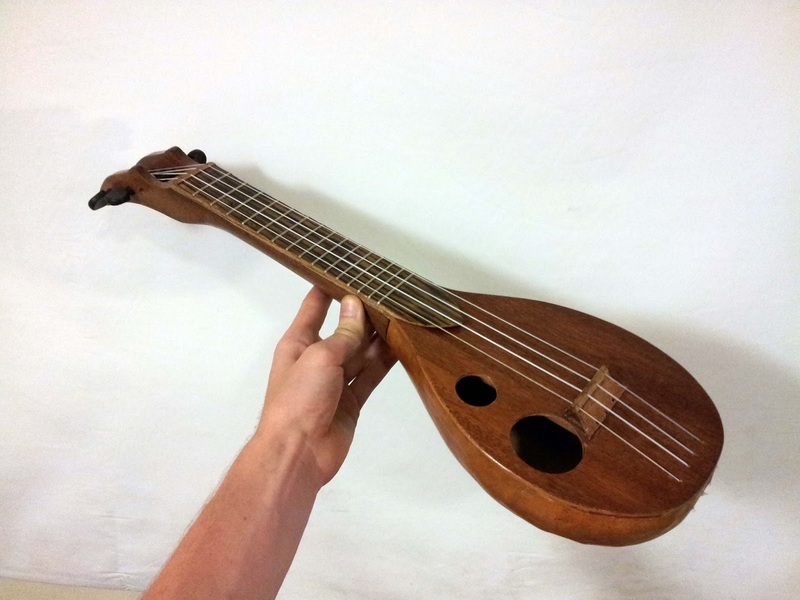 The body of the instrument was made from a dried gourd. The neck is mahogany, which was scavenged from the desk in my old bedroom. The fretboard is burned oak, which was split off a stump in my back yard, and the soundboard was the bottom of a desk drawer. The ukulele is about Tenor sized, and tuned with a low-G. Fret positions were determined using this handy online fret calculator. All of the construction except drilling a couple of holes was done with hand tools. The neck was shaped mostly with a drawknife, except for the channel for the tuning pegs, which was chiseled out. The ukulele's build thread can be found here. I don't have any audio or video clips of me playing it, so you'll have to take my word for it that it sounds pretty good. I think it does, at least. Not that I have much to compare it to. For REX this year at East Campus, I helped to design and build a rotating climbing wall. The climbing wall consisted of a twelve-foot diameter by eight-foot wide wooden cylinder suspended on an axle. The surface of the cylinder was covered in climbing holds. As the climber progresses, their weight causes the cylinder to rotate opposite the climbing direction. Back in January, I was presented with a large carbon fiber tube, in the form of an oar. Being who I am, I made the obvious decision to build a bicycle frame out of it. 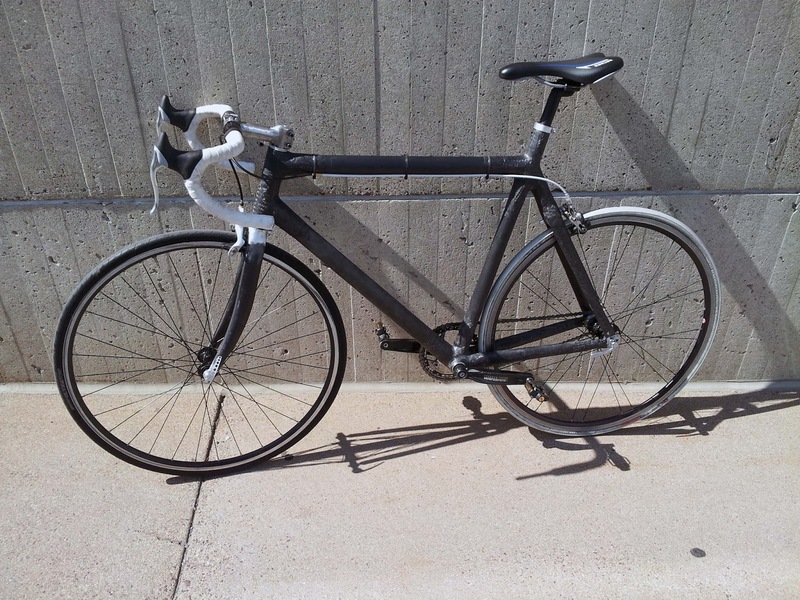 As I found out when building my bamboo bike, making a bicycle frame from scratch, especially when using composites, is not actually very hard, as long as you have a lot of patience. To make this project more interesting, more challenging, and cheaper, I built the entire frame and bicycle without spending any money on it. Every component (except the pedals, which used to live on the bamboo bike) I either made myself or scavenged.